Despite having a rather long mane of hair, I’d say I’m pretty low maintenance at keeping it in shape. I have never dyed it, I should go and have it cut more regularly than I do, infact I’ve been known to cut it myself but I’ve finally found my dream Shampoo and Conditioner. As my hair is blonde, over the years I’ve tried soooooo many shampoos, Silver shampoo’s to make it white blonde, Shampoos to make my golden tones more prominent, Shampoos that are good, shampoos that are bad but I have finally found a winner. I now like to go for a Coconut formula to keep my hair hydrated as it is so long it can get dry and tangled very easily. When I went away to Budapest I thought I would pick up some new haircare to take with me, my Mum kindly said she would buy them for me, so obviously I picked the new ones I’d had my eye on since they came into the shops. 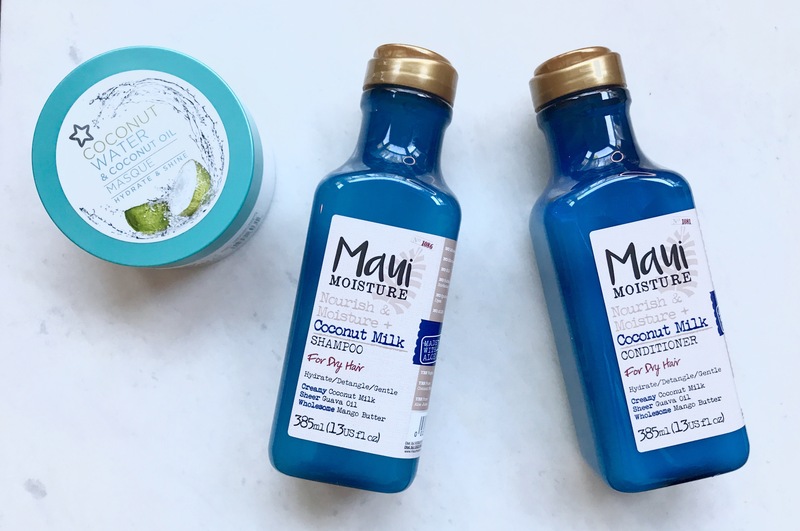 I chose the Maui Moisture Nourish and Moisture Coconut Milk Shampoo and Conditioner, they contain very natural ingredients including aloe vera and they are also Vegan and Cruelty-free, WIN! I’m now on my second lot and I’m still loving it, it leaves my hair super soft and shiny and it even has Josh’s seal of approval and he is fussy with shampoo so that’s saying something. 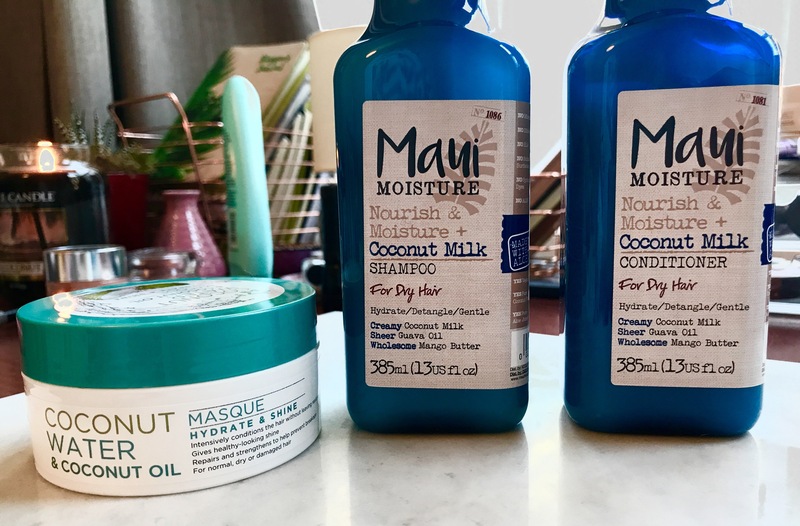 I would highly recommend the range as there are a few different variations dependent on your hair type so it may be worth looking into if you are keen to find some cruelty-free haircare that doesn’t cost an arm and a leg. 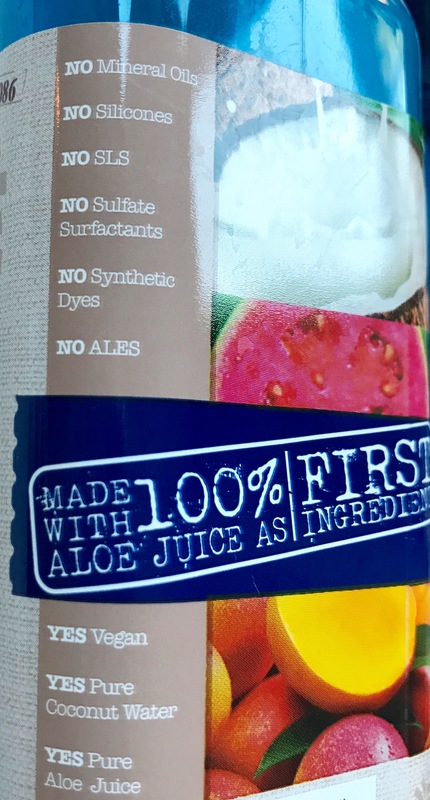 The other product I’ve been loving using once or twice a week is the Superdrug Coconut Water and Coconut Oil Masque my friend Sally bought me this as part of my birthday present in May and I’ve been loving it ever since. It seems to work well with the Maui products as they are all coconut and hydration based so they don’t counteract each other. This Masque isn’t too thick and is very easy to wash out so you don’t end up with accidental greasy hair after using it. This has helped my hair no end, even though I don’t use a lot of heat on my hair it still manages to get dry so it gives me a nice boost. 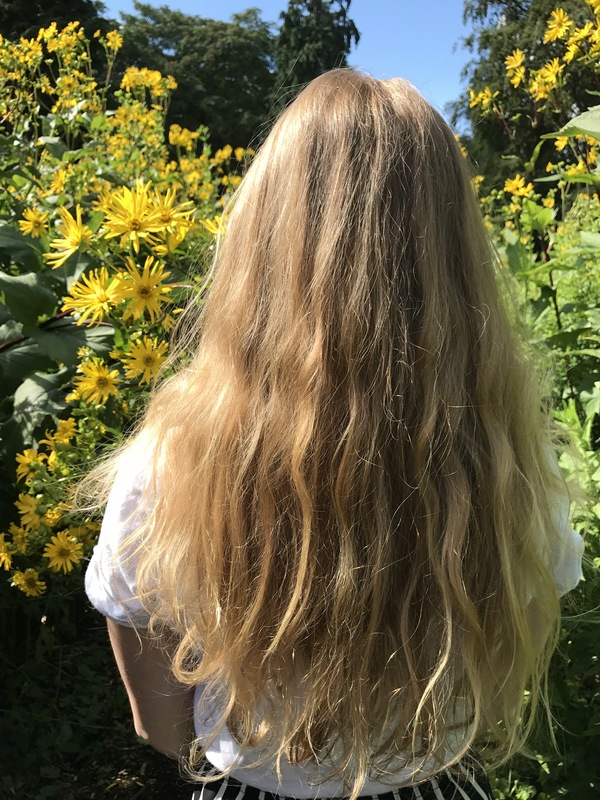 I usually let my hair air dry but if I really am short for time I will use my hairdryer and once in a blue moon if i’m feeling kind of wild I might crack the straighteners out (and immediately regret it when it rains and I’ve wasted my time). I use my trusty ghd’s which I have had for 9 years so that tells you how often I use them! I’ve just never been a haircare obsessive, everyone has their favourite areas of beauty and haircare just isn’t mine, despite working on the haircare section at work and knowing the ins and outs of every product possible. Occasionally i’ll work some of the RPR Smooth My Ends treatment through my lengths and ends to keep them from becoming split. This is another great vegan haircare brand if you are looking more for a treatment than a shampoo to use everyday. 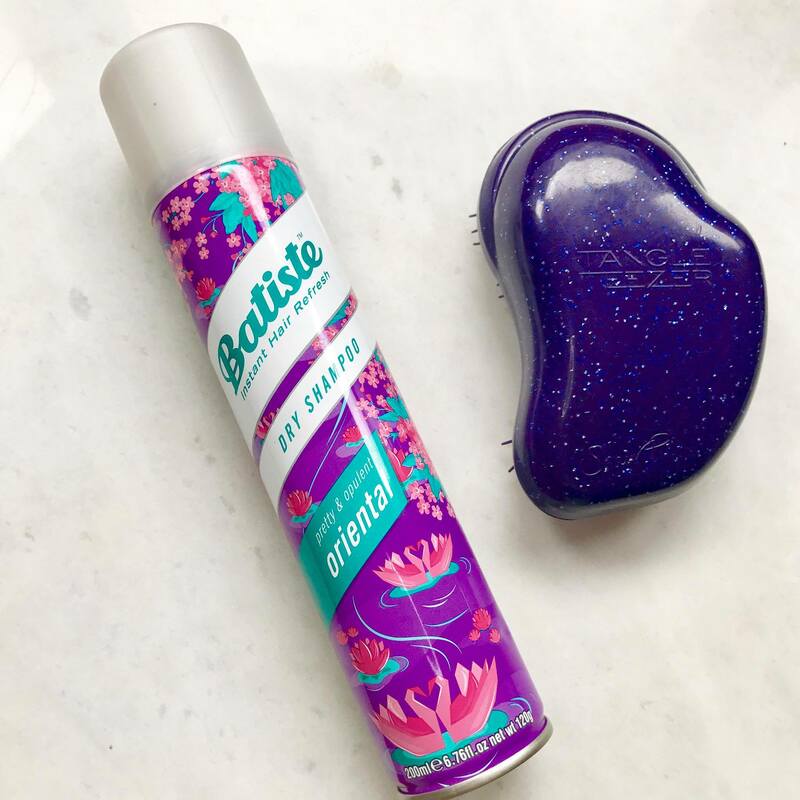 I tend to wash my hair everyday or every other day although sometimes I like to leave it longer and top up with Batiste Dry Shampoo to give it some body and texture (my hair doesn’t get overly greasy as my scalp is quite dry), I like to swap the scent each time but at the moment I’m using the Oriental one which smells gorgeous. Again this brand is vegan and also a bloody bargain. Finally, if I can be bothered I brush my hair using my faithful Tangle Teaser, this brush has been going strong for about 4 years so maybe it’s about time I picked up a new one. This, along with the Denman Tangle Tamer (which I keep in my handbag), is the only brush which doesn’t hurt to use, I have a lot of baby hair and frizzy, curly under layers that get in a right knot while I’m sleeping. Luckily this brush can be used on wet or dry hair so I can run it through my hair after my shower when it’s easiest to manage and it’s also super easy to keep clean. Dare I utter the C word so early? But these also make great stocking filler gifts for Christmas if you’re the kind of person that likes to start buying early. Let me know what your favourite haircare products are, I’m open to suggestions and broadening my horizons, I just thought I would share how good I think these 3 are.